RECORDGRAM, the Miami-based and Nashville-linked provider of a music-collaboration app, is considering launching a digital token sale, a capital-raising option often referred to these days as an Initial Coin Offering, or ICO. 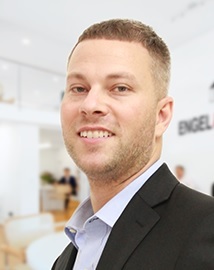 Co-Founder and CEO Erik Mendelson told Venture Nashville that planning and regulatory analysis for a USD 100MM-plus offering remain underway, with a launch in the September-October timeframe likely. He declined to disclose the final structure, target, venue and originating jurisdiction of the token raise now in prospect. Mendelson said that 2-year-old RecordGram is simultaneously exploring the possibility of a traditional USD 5MM Series A raise. That money is not likely to be secured in the Southeast -- more likely in the Bay Area, he said. He also confirmed that RecordGram recently completed a $1MM Seed raise and that the company's founders have provided about $200K in funding, thus far. 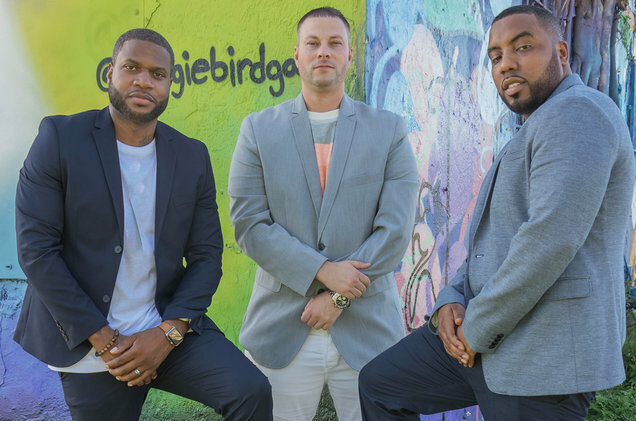 The company's board of directors includes Mendelson (LinkedIn) and his two cofounders, pictured above: DJ Winston "BlackOut" Thomas and recording artist Shawn MIMS. Raising $100MM or more through a token sale is intended to help the company fulfill its international ambitions, said Mendelson. That said, he also acknowledged that with a fraction of that amount the company can meet such relatively modest goals as 100K users spending an average $5 per month, for $500K total monthly sales. "The whole concept is micropayments on a macro scale," he emphasized. Under one scenario, he acknowledged, a Series A raise could be executed ahead of a token sale, but the two raises will not be undertaken concurrently. Once at-speed, the company expects to have about nine ways to make money, the most obvious of which are aggregating beats for producer subscribers and supporting execution of in-app transactions between artists and producers. Another path: RecordGram has already demonstrated on a small scale that it can get income by representing artists or securing equity in projects. Mendelson said he believes music superstars are likely to be discovered via RecordGram, much as Justin Bieber was discovered via YouTube, in the early days of that platform. If the company pursues and successfully executes a token sale and attracts $100MM or more, no further outside capital is likely to be needed prior to an exit, said Mendelson. 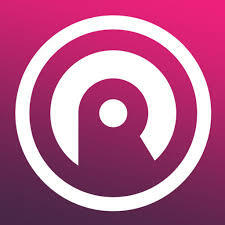 According to RecordGram material online, its app is an iOS mobile-based "music and video recording studio" that allows amateurs to collaborate on songs. Via the platform, users select beats (instrumental backing tracks), write lyrics, record new tracks, and shoot videos, with sharing audio files via social-networks. App functions include tab (tablature), user creation, stage, vocal monitoring, and a notepad. 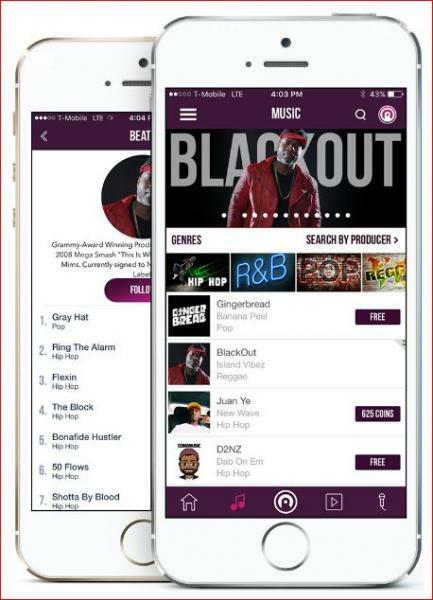 Rights to beats are offered to app users at low cost on a nonexclusive basis. The first user who negotiates a traditional licensing arrangement for a beat off-site has exclusivity, and the beat is pulled from the RecordGram inventory. Asked about potential future bidders for the company, the CEO said major companies that use music content strategically would probably have interest. He offered as logical examples Apple, Spotify, Google, Samsung, Amazon, Facebook and Microsoft. He suggested that traction and investment secured by competitors such as Musical.ly (Santa Monica) and Smule (San Francisco) -- each of which Crunchbase says has raised nearly $150MM -- illustrate the feasibility of rapid growth for RecordGram. Though the company is focused intently on growth, there is a plausible scenario for an exit to a major buyer within 18 months, Mendelson affirmed when asked about such a timeline. The CEO expressed confidence that RecordGram is soundly positioned globally as the first mobile music and video recording studio that allows song collaboration between amateur artists and music producers, said Mendelson. A year ago, Mendelson, now 39, and his team completed the Project Music accelerator at the Nashville Entrepreneur Center in Nashville. In May, RecordGram bested 18 other companies that competed in TechCrunch's 2017 Startup Battlefield-New York, now in its tenth year. That victory bestowed on RecordGram The Disrupt Cup and a check for $50K. Earlier, he spent a decade with NYC-based Digiwaxx Media, a marketing and promotions agency, and since 2007 he has managed business affairs for performing artists. RecordGram aims to employ blockchain technology, which Mendelson said is a key ingredient in the company's plans to "disrupt" the Music industry. Blockchain technology is central to operation of Bitcoin, Ethereum and other protocols, could allow RecordGram to provide a marketplace or exchange, while eliminating (using smart contracts in distributed ledger applications) many traditional costs and processes, thereby also further democratizing Music collaboration, said Mendelson. Retained legal counsel is Chris Sloan of Baker Donelson and the company banks with Bank of America. Publicist Jennifer Williams is with J. Sharpe Agency in NYC. Mendelson said he handles the books. The company also relies on a "growth-hacking" adviser that Mendelson wouldn't name.